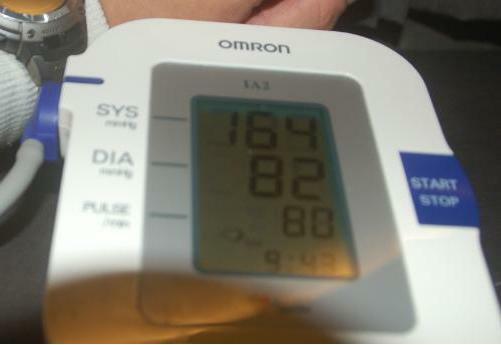 Have you ever used a Automatic Blood Pressure Monitor with Arm Cuff? I actually purchased one at Guardian when my company doctor told me that blood pressure is too high 190/110 and if I do not take good care to lower it down to normal range, I will be like a walking time bomb. Whenever I use the Automatic Blood Pressure Monitor, I would felt my arm turn numb after the measurement as the Arm Cuff would become very tight, and now when I do the measurement I do not feel numb anymore, I felt the difference. I have attached a photo of my Automatic Blood Pressure Monitor with my Blood Pressure measurement of 164/82 which is much lower compared to my measurement 2 years ago. Next time when we meet, do remind me to bring it along so that I can help to check your Blood Pressure. I used to have body ache.